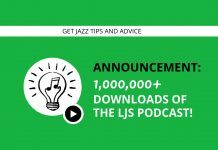 Welcome to episode 119 of the LJS Podcast where today we are talking about a common problem that plagues all musicians from time to time: musical slumps. We all go through periods where we feel like we aren’t improving or even motivated to play. Sometimes it’s hard to break free from those plateaus but this episode goes over some great antidotes. Listen in! Have you ever felt like you were totally stuck in your musicianship? Maybe you just didn’t feel motivated, or maybe you had been working hard but just weren’t seeing improvement. I know I have been there before, and it’s likely I’ll be there again. In this episode, I go over some practical tips for breaking free from these musical slumps. These are things that I have drawn from my experience and others, and I know they will help you too. 1. Motivation- 3 ways you can keep motivated to practice your instrument. 2. Oversaturation- taking breaks and taking the less is more approach. 3. Lack of direction- creating goals, practicing the right stuff, and creating an action plan. If you are finding yourself in a musical slump right now, I want to encourage you to take action on some of the things that I talk about here. Have anything else to add to today’s advice? Feel free to leave a comment below. Good advice on taking a break. Music is supposed to be emotional and not just technical. Sometimes too much practice doesn't let the emotional side out. Hey Madden, appreciate your feedback. I can understand how it could seem that way without context of what the course is, which is 30 goal-oriented practice sessions that builds one session after the next. Thanks for this insight though!